Maurizio Croci is an international renowned concert organist, Organ Professor at the Haute Ecole de Musique de Lausanne and the Artistic Director of the Festival International d’Orgue de Fribourg (Switzerland). Prize-Winner of the “Paul Hofhaimer” International Competition in Innsbruck, Maurizio Croci has been invited to play throughout Europe, Russia and Japan including concerts in Mariinsky Theater in St-Petersburg, Musashino Concert Hall in Tokyo and in festivals such Toulouse les Orgues, Organ Festival Holland, Bachfest Leipzig, Festival Internazionale di Magadino, Madeira Organ Festival and Milano Arte Musica. 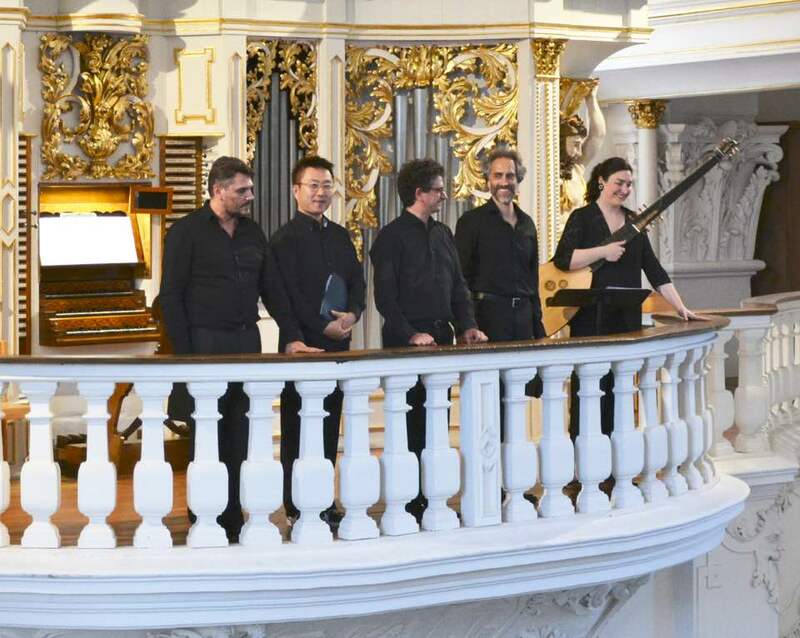 Committed to early music repertoire, he has performed on many European historical organs including those in Innsbruck, Alkmaar, Freiberg, Amsterdam, Bologna, Roskilde, Lisboa, Naumburg and Salamanca. In 2000, he performed in Bern J.S. Bach’s complete organ works. Several of his concerts were broadcasted by radio and television (RAI, SDR, RNE, RSI, RSR, NPO). Maurizio Croci’s compact disc recordings featuring Italian and German Renaissance and Baroque music, Soler’s Conciertos for two organs (with Pieter van Dijk) and works by J.S. Bach , were praised by the international critics. His last Bach organ and harpsichord recording “Bach Mirrored” received in 2017 the “Preis der deutschen Schallplattenkritik”. Maurizio Croci founded the ensemble Il Pegaso in 2012, a versatile group formed by early music successful specialists.The debut recording, featuring the first modern execution of newly discovered compositions of Monteverdi and Frescobaldi, has been internationally appreciated and rewarded. The most recent project “Travestimenti” focused on rare contrafacta and intabulations of Monteverdi music. Since 2005 he has been Organ Professor at the Haute Ecole de Musique de Lausanne (Switzerland) and, since 2004, Harpsichord Professor at the Scuola Civica in Milan, where he also acted as Head of Early Music Department from 2008 to 2013. Maurizio has been invited to give master classes throughout Europe, Russia and Japan and has served on jurys of international competitions, including International Organ Competition “Xavier Darasse” in Toulouse, International Schnitger Organ Competition in Alkmaar, Internationaler Orgelwettbewerb “Orgelstadt Lansberg”, Grand Prix ECHO in Freiberg and Treviso, International Harpsichord Competition “City of Milan”, Pistoia International Organ Competition and the International Composition Award for the Six Historic Organs of Mafra. Maurizio Croci studied Organ and Harpsichord in Conservatories of Milano and Trento and continued at the Schola Cantorum in Basel with Jean-Claude Zehnder and Andrea Marcon. He graduated in Musicology at Fribourg University with Prof. Luigi Ferdinando Tagliavini. As enthusiastic promoter of historical organs, he has been the advisor on restorations of Italian historic organs and on building of new instruments. He is a member of the Council of Artistic Directors of European Cities of Historic Organs (ECHO).